Following several days of continuous connectivity problems, North Korea's internet has gone dark, according to one researcher. Whether it's a cyber attack or a routine outage remains unclear. However, it looks a lot like a DDoS attack. 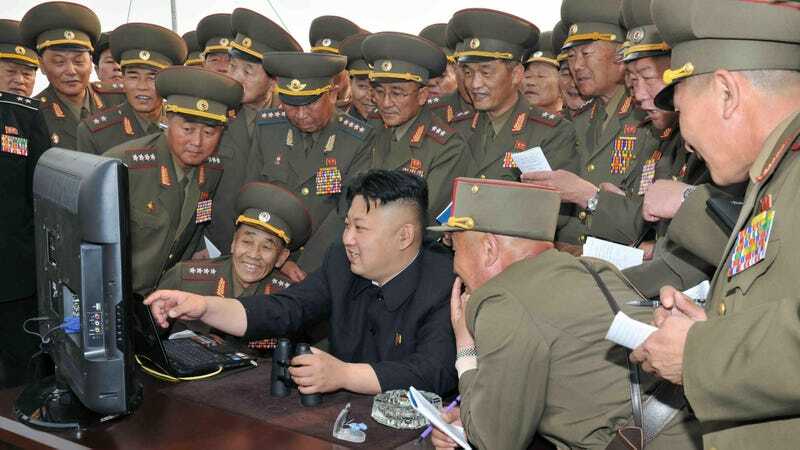 News of the outage arrives just two days after the United States asked China to help in cripple North Korea's ability to mount cyber attacks, after the FBI blamed Kim Jong-Un's regime for hacking into Sony Pictures. This does not necessarily mean that North Korea itself has become victim to a cyber attack. The country experiences outages all the time, in part due to poor infrastructure. However, some experts think this string of instability is different. ''The situation now is they are totally offline," Doug Madory of Dyn Research told Bloomberg. "I don't know that someone is launching a cyber-attack against North Korea, but this isn't normal for them." Earlier, Madory had told North Korea Tech, "I haven't seen such a steady beat of routing instability and outages in KP before. Usually there are isolated blips, not continuous connectivity problems. I wouldn't be surprised if they are absorbing some sort of attack presently." One can't help but wonder if China or the U.S. might be involved. China, for one, recently announced an investigation into North Korea's role in the Sony Pictures hack despite being a potential partner. North Korea, for its part, denies any role at all, though the country's posture became markedly more aggressive in the past couple of days. After proposing the U.S. help in a joint inquiry to prove it had nothing to do with the attacks, North Korea threatened to strike the White House and "the whole U.S. mainland, that cesspool of terrorism." North Korea's addresses are managed by Star Joint Venture, the state-run Internet provider, which routes many of those connections through China Unicom, China's state-owned telecommunications company. By Monday morning, those addresses had gone dark for over an hour. As a researcher from CloudFlare told the Times: North Korea's network is "toast."